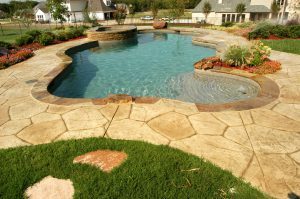 Pool maintenance is more than just removing leaves and adding chemicals. Routine pool maintenance requires a professional, one who has been expertly trained and certified in pool chemical balancing. At Blue Star Pool Care, LTD. we realize your investment should receive the utmost in care so that your pool will always look its very best. We want you to spend your time enjoying your pool and not cleaning it. 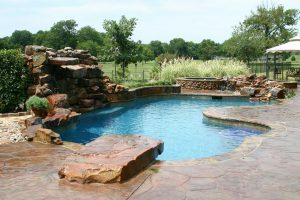 In doing so, we are happy to provide a weekly pool cleaning and maintenance service that will keep your pool in top condition for swimming year-round. Our weekly service includes an initial general inspection of your pool equipment and documentation of any problem areas. We will then continue by skimming your pool and spa’s surface, emptying of the skimmer, emptying pump baskets, brushing the pool walls and steps, and testing of your pools chemicals and balancing if needed. A final step will also include a thorough vacuuming and back-washing when necessary. Included in our cleaning process, we will also be testing for uneven amounts of PH, alkalinity, and chlorine. Any deficiencies may cause long term disastrous and costly effects.